Greetings Dies R Us friends, fans & visitors. Yay for Friday! I have a little boy who is puts the sunshine in my days! He has two speeds, ON &OFF (& it's only OFF when he is sleeping!) Needless to say that my day comprises of chasing after him constantly reminding him that he cannot fly & that if he rides his scooter down our steep driveway all the way from the top, then he will end up looking like a skeleton! 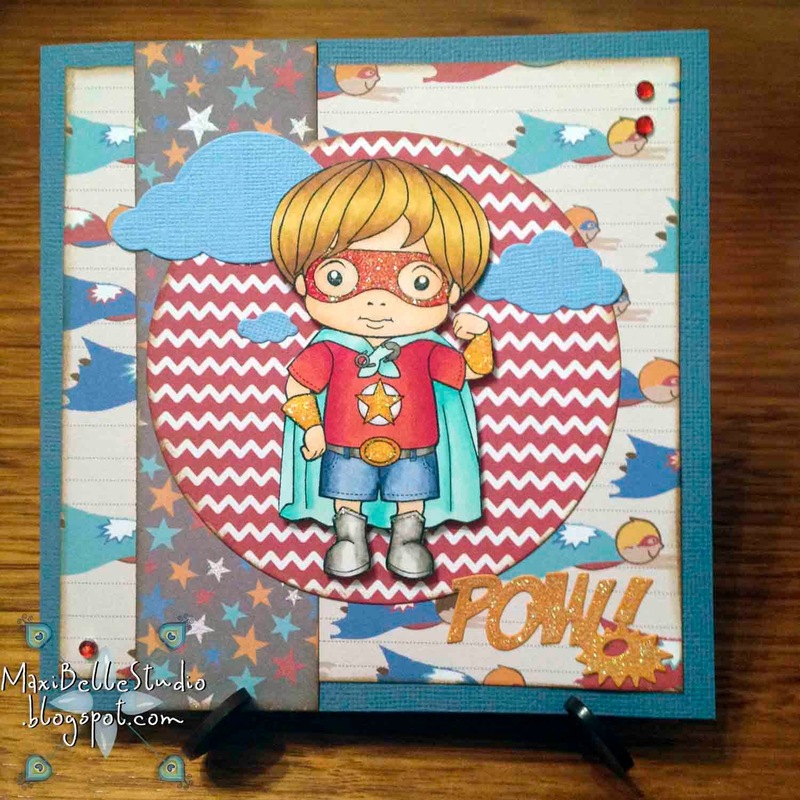 He loves all things 'Superhero' too, so this card is for him or for any little boy out there dreaming they are a Superhero! I use the Star Boy Luka stamp from Lala Land & coloured him with Copics to match my cute designer papers (from Pebbles). I used the Spellbinders Standard Circles to give me a basic 'frame' for my image. After layering my DP's I felt that it was 'missing' something, so I added the Impression Obsession Clouds to give it a bit of a lift. 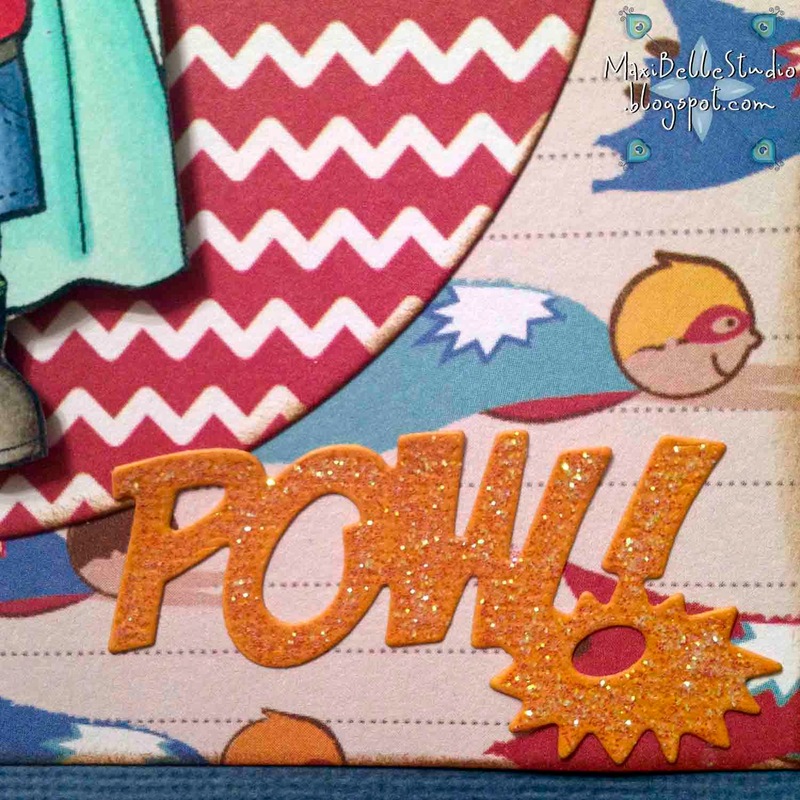 Here is a close up of the 'Pow!' sentiment. 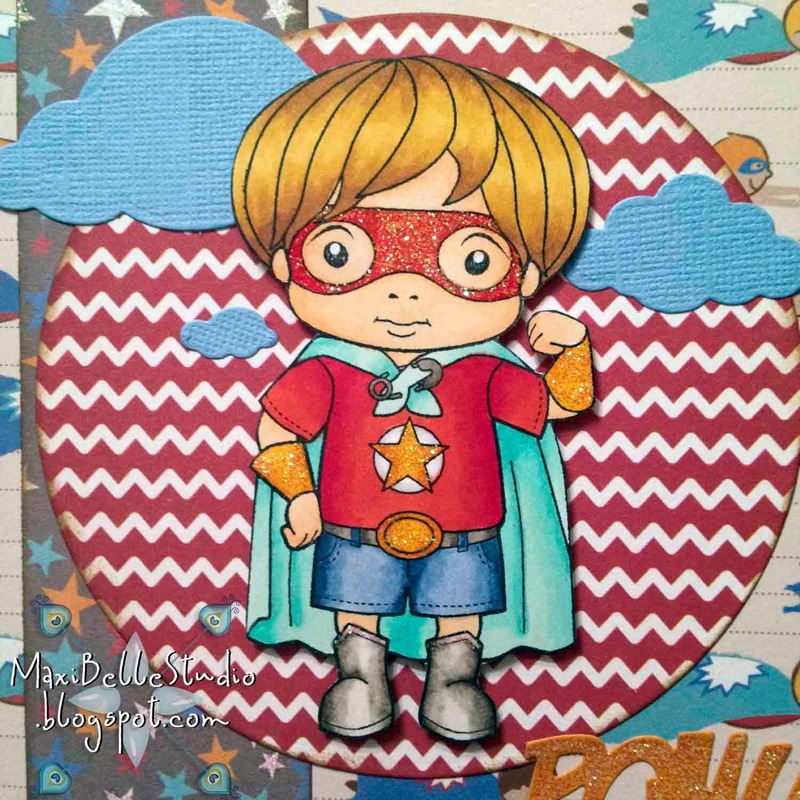 How cute is this Die Versions Sweet Petites 'Pow!' die?! I highlighted it some more by adding some Kindyglitz to it. A quick reminder too that over at our new challenge blog and we are running our second challenge of 'Flowers'. So pop over to our challenge blog to join in the fun and to see more stunning cards created by our inspiration team, who are all in Team B of the challenge blog Design Team. And don't forget to stop by the Dies R Us store to grab these dies, or any other die you are after from your favorite brands. This is just adorable! The perfect little boy card for sure! As always you did a great job with the coloring & I love the layout. Those dies were just the perfect touch! Great card! Oh yes, this card is perfect for a boy ! Superb !